Here I will show why these structures cannot be justifiably used as comparisons to the WTC buildings, based on the estimated damage parameters and fire severity for these structures. A common misconception about this argument regarding other steel skyscrapers not collapsing is that it implies that steel cannot under any circumstances fail from being weakened by fire. This idea is obviously wrong. Steel, while obviously very strong, is not immune to the effects of fire, which is why fire-proofing is applied to many steel structures. The main argument that is really being presented is this: other steel-framed high-rise skyscrapers have never collapsed from fires that, upon careful examination, appear to be far more severe than the fires exhibited in the WTC buildings. Therefore, it is reasonable to assume that the WTC buildings should not have collapsed from the types of fires that were seen on 9/11. Of course, this argument obviously must take other factors into consideration, including the construction of other buildings and the behavior of the fires themselves. However, these factors have already been examined and dealt with accordingly . This issue in fact raises an interesting point. When one examines the list of other steel structures that have collapsed from fire that are often cited by debunkers, one thing immediately catches the eye: almost none of them are high-rise skyscrapers. The only building cited by debunkers that is a high-rise is the Windsor Tower in Madrid, and this building did not suffer a complete collapse. Jim Hoffman has examined the partial collapse of the Windsor Tower , and notes that all this incident proves is that a huge building-consuming fire, after burning for many hours, can produce the collapse of parts of a building with weak steel supports lacking fire protection, and that the collapse events that do occur are gradual and partial. Hoffman has also examined the McCormick Place roof collapse that is often cited by debunkers, and has shown why this structure is also not comparable to the WTC buildings . Aside from the Windsor Tower, none of the other structures cited by debunkers are high-rises, and some of them are not even buildings. What is interesting to note here is that debunkers are quick to point to these smaller and more poorly designed steel structures as valid comparisons to the WTC, while at the same time they have argued that other actual high-rises engulfed in fire are not comparable to the WTC due to “differences in design.” This argument is rhetorical nonsense. If we are to draw comparisons between the WTC skyscrapers and other structures, then we would logically want to compare them to other skyscrapers. Debunkers have demanded that those advocating the “no other high-rise collapses” argument provide an example of a skyscraper fire that matches almost exactly the conditions of the WTC on 9/11. 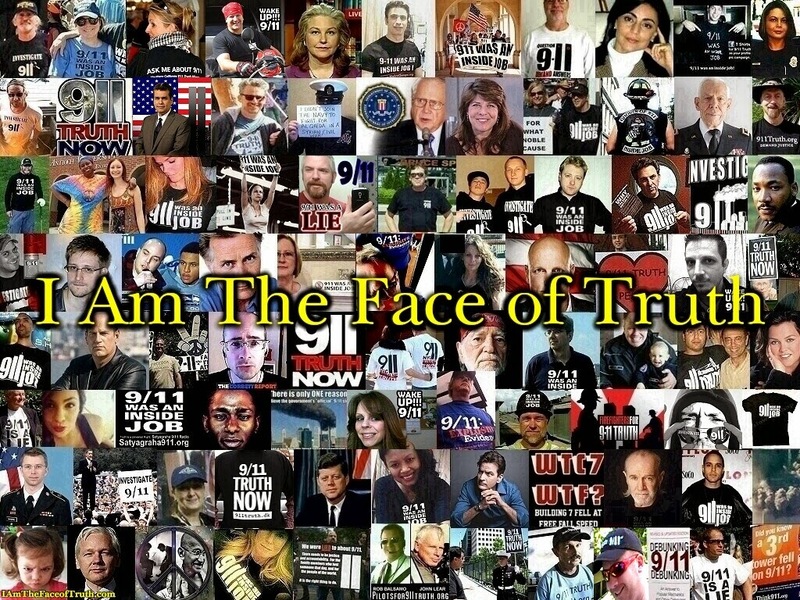 The website debunking911.com, for example, has a detailed list of conditions which the anonymous author feels need to be met before drawing any comparisons . But again, this same author has no problem offering drastically different constructed structures that have collapsed from fire as valid comparisons to the WTC. As we can see, the construction these buildings were similar in terms of the core and perimeter. In terms of fire severity, even NIST has admitted that the fires in the First Interstate Bank and the One Meridian Plaza were likely more severe than the fires in at least WTC7. As we will see, it is in fact debunkers who have ignored specific factors when comparing the WTC buildings to other steel structures. 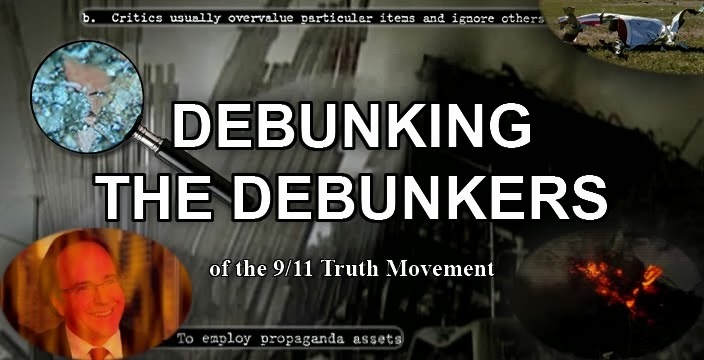 To simply brush off other high-rise fires by making claims about how the Twin Towers were hit by planes or that the buildings were constructed differently is itself deceptive. Claims like this fail to specifically address the actual factors involved in determining just how different and similar the WTC buildings really were compared to other incidents. I will therefore move on to address these specific points regarding the structures normally cited by debunkers and other defenders of the official story. Having already covered the Windsor Tower and McCormick Place, the structures I will examine are: the Site and Sound Theater, the Kadar Toy Factory, the Mumbai High North Platform, Interstate 580, World Trade Center 5, the Dogwood Elementary School and the Faculty of Architecture Building. 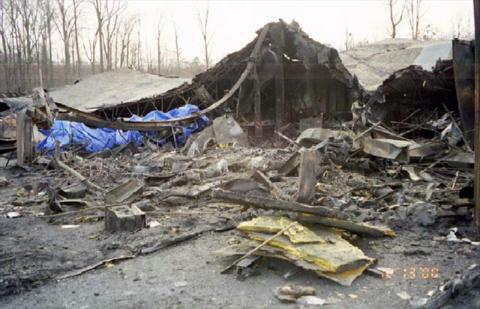 On January 28, 1997, the Site and Sound Theater in Pennsylvania suffered a collapse from a fire which lasted approximately 3½ hours. The building was a rectangular shaped structure that was approximately 100 feet wide and approximately 74 feet tall. The fire was started by welding operations occurring at the theater. The first thing we can note about this incident is that, like the collapse of the McCormick Place exhibition hall, it was not a total building collapse-- it was only a roof collapse. Much less was it the total collapse of a high-rise building. 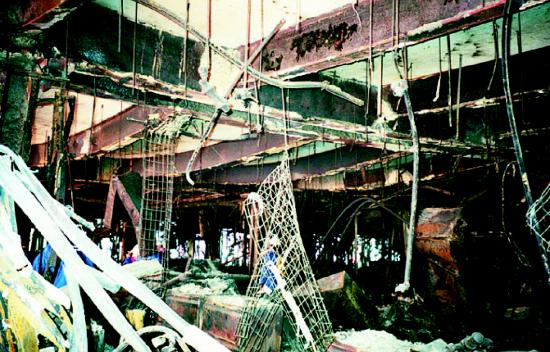 Photographs taken after the collapse show that the roof of one section of the structure failed due to the fire. As we can see from these photos, this collapse could at best be described as a partial collapse of the structure. Only the roof collapsed, leaving the surrounding walls standing. Also, not only was the building not a high-rise, it was not even a multi-story structure. Being that the building section that collapsed only had one floor that was open spaced, the collapse of this structure is hardly comparable to the supposed “global collapse” of the WTC, which resulted in not only the failure of the floors, but also the failure of the buildings’ major support columns. While there is obviously no denying that the fires were severe enough to cause the steel to fail, this should be no surprise regarding this particular structure. On May 10, 1993, the Kader Toy Factory in Thailand collapsed after suffering one of the worst industrial factory fires in history. Although the factory was technically a series of four structures, the part of the factory which was on fire and collapsed was actually a single E-shaped structure which connected Buildings One, Two and Three. Building Four was a separate nearby structure. This building is often cited by debunkers and other defenders of the official story due to the fact that the factory was a multi-story building which collapsed due to fire alone. However, according to official reports on the incident , the factory was poorly designed and built. The steel frame-work was weak and none of the steel was insulated. The building also lacked any sprinklers. Also, the factory had apparently been damaged by a series of other smaller fires in the past. At the time of the May 10 fire, parts of the building were still being repaired from a fire which occurred in February of that same year. Ultimately, this structure had a completely different set of variables to that of the three WTC buildings, and therefore seems to be a very weak example to use as a comparison. On July 27, 2005, the Mumbai High North Platform in India’s Arabian Sea completely collapsed due to a severe fire. A multi-purpose support vessel collided with the offshore platform, causing a major fire which caused the platform to collapse after two hours of burning. This incident is another favorite of the debunkers as evidence that steel structures can collapse from fires. However, when one examines the specifics of this incident, it becomes obvious that this structure is not even remotely comparable to the WTC. We note that, once again, this structure was not a high-rise skyscraper, but merely a seven story structure. 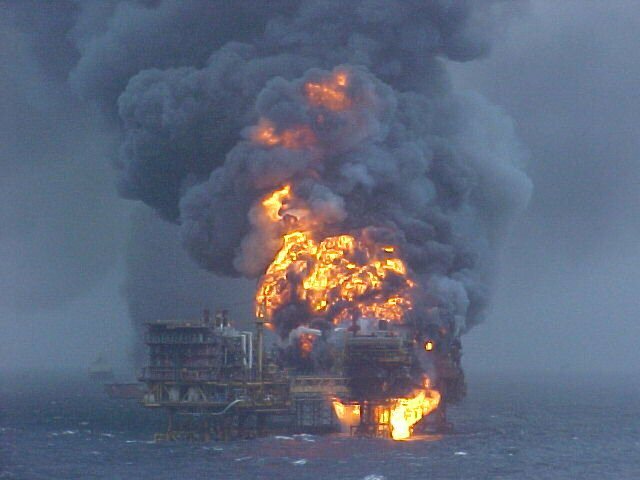 The intensity of the fire was clearly due to the fact that the platform was a major oil rig. The platform was used to produce 80,000 barrels of oil per day . 80,000 barrels is roughly 3,360,000 gallons of oil. Now, compare that to the less than 10,000 gallons of jet fuel that entered each of the Twin Towers. Being that this structure was engulfed in a fire that had an unlimited source of fuel and air to sustain it, it is no surprise that this structure collapsed. It is hardly comparable to the WTC buildings, as it has almost nothing to do with the self-crushing steel building theory in which a tall structure crushes and shreds itself from top to bottom. 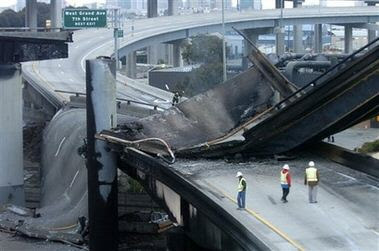 On April 29, 2007, the Interstate 580 in Oakland, California collapsed from a fire started by a gasoline tanker truck which crashed on the interstate. 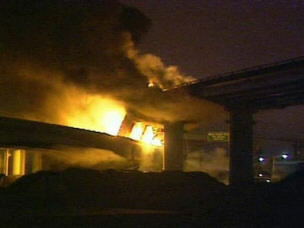 The interstate collapsed after about 19 minutes of burning. Professor Steven Jones, a Ph.D. physicist and cold fusion expert, joined Alex Jones on the air yesterday to talk about the monumental differences between the two collapses. The freeway section was made of highly flammable asphalt and took the brunt of a gigantic gasoline explosion with open air fires shooting 200 feet in the air. In comparison, the twin towers were impacted by aluminum planes filled with significantly less flammable kerosene and suffered limited fires that were oxygen-starved and almost out before the collapses occurred. Building 7 was not hit by anything save a small amount of debris from the towers and suffered limited fires across just eight floors. In addition, explosions were being reported by occupants within WTC 7 before the towers had even collapsed. Halfway through the discussion with Steven Jones, a steel welding expert joined the conversation to express his incredulity at the fact that Fox News was comparing the collapse of the highway with the World Trade Center buildings. "You can't even begin to compare 5 inch thick steel plate core columns, approximately 2 foot by 5 foot rectangle 5 inch thick boxes to quarter inch and 3 quarter inch dowels that connect the steel to the support members," said the steel expert. "The logical deduction is that the rebar steel was exposed horizontally, that whole bridge surface and it was exposed intention, not like the fires that were lapping up fire-proofed 5 inch thick plate columns in the World Trade Center - these little bars had no heat sink and after two hours with all that weight on them they fell." Debunkers have also failed to acknowledge the fact that freeways in the San Francisco area have already been weakened by multiple earthquakes and regularly collapse entirely of their own accord by accident. 1. This was an open air environment where flames were able to reach their absolute maximum temperature; white-hot and shooting upwards of 200 feet in the air. 2. Those 200 foot flames were acting on a single support truss that was fastened to the two columns pictured here. 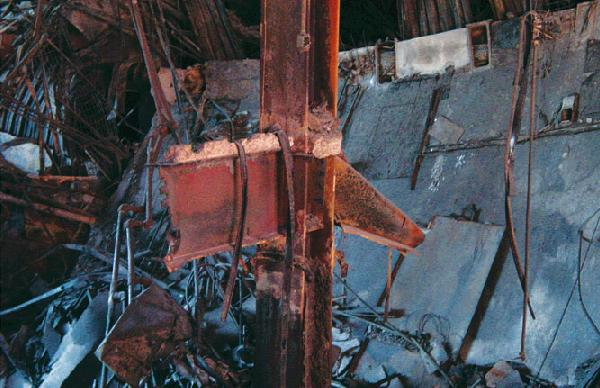 That truss (and the connectors that fastened it to the columns) represents a small fraction of the steel that would have been found on a single floor of the towers or WTC 7. So again, far more heat focused on a single truss and no way to redistribute the load once that truss was weakened. 3. You'll notice that despite the intense fires ability to weaken the truss and connectors that there is NO mention of molten metal in the debris. Also, unlike the debris of the towers and WTC 7, it's not likely we're going to hear anything about thermate (specifically used to destroy steel columns) in the bridge debris. 4. 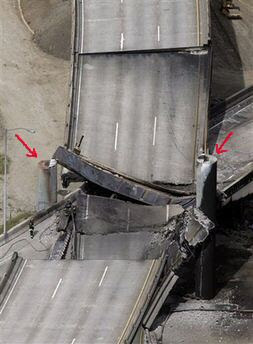 You'll notice that the concrete roadway that "pancaked down" on the roadway below did not cause the lower freeway to collapse. Nor has the concrete disintegrated into a fine powder. It is also worth noting that the investigation carried out by the Office of Nuclear Material Safety and Safeguards  documented that the steel from the interstate had been heated to temperatures ranging from 850 °C (1,562 °F) to as high as 1,000 °C (1,832 °F). In contrast, the NIST investigation into the collapse of the WTC showed that there was no evidence that the steel had exceeded temperatures of 600 ºC (1112 ºF). The highest temperatures estimated for the samples examined by NIST was 250 ºC (482 ºF) . Ultimately, this incident is yet another example of a steel structure collapsing from fire that is not even remotely comparable to the destruction of the WTC. Not only was this structure not a high-rise, it was not even a building. The debunkers’ choice of citing this structure highlights their obvious desperation in their attempt to defend the official explanations. On September 11, 2001, World Trade Center 5, a nine-story building that stood east of the North Tower, suffered a partial collapse after being damaged from falling debris from the collapse of the WTC. According to the FEMA report, the local collapse of four floors inside the building was caused by intense fires. The first thing we note here is that this incident, like many other incidents cited by debunkers, was not a total building collapse. Only four floors in one section of the building collapsed due to fires. 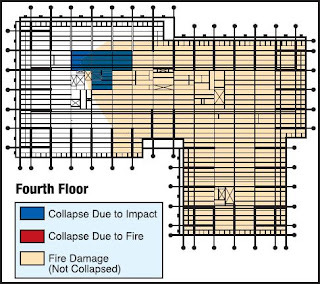 According to the FEMA report , the eighth floor of WTC5 collapsed down onto the seventh floor, and then both of those floors collapsed onto the sixth floor, and so on, down to the fourth floor. One reason debunkers are fond of citing this structure is likely because they feel it lends credibility to the idea of a “pancake” type of collapse, or “global” collapse as it is also referred to. However, upon closer examination of the building, it becomes apparent why the structure collapsed the way it did. The pancake collapse only progressed to the fifth floor. The fourth floor of WTC5 did not collapse. Why didn’t the floors pancake all the way down to the bottom floor? Why didn’t the fourth floor collapse? After all, the fourth floor had to sustain the loads of four floors which had collapsed on top of it. It’s interesting to note that the ninth floor also did not collapse from the upper layer temperature of the fires on the lower floors. So why did only floors five through eight collapse? As we read in the FEMA report, there was no fire on the third floor, which meant that there was no heat to weaken floor four from below. But the main reason that only floors five through eight collapsed seems to be due to the type of connections those floors used. 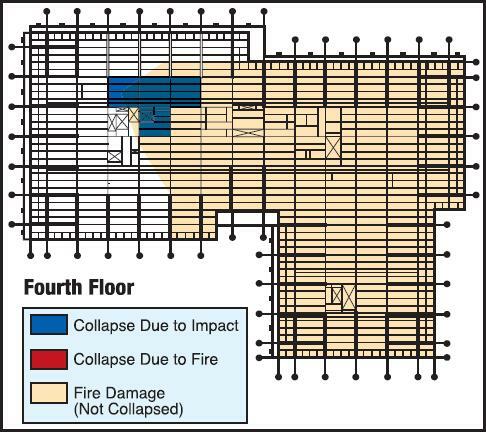 The local collapse due to fire appeared to have occurred at the field connections, where the beams were connected to the shear stubs for floors four through eight. What this shows us is that any other type of connections in the building did not fail due to fires. 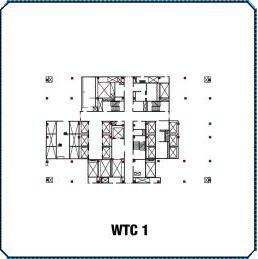 The ninth floor of WTC5 was described by the FEMA report as “conventional for steel-frame construction and did not include a column-tree system.” The ninth floor did sag due to the upper layer temperatures of the five burning floors below, but the connections did not fail and the floor did not collapse. 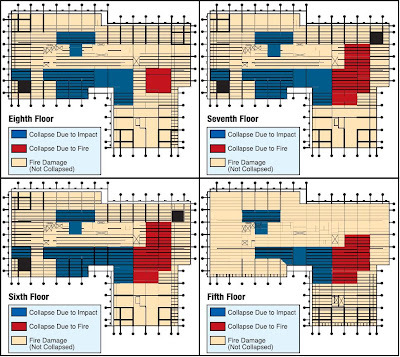 The main cause of the localized collapse was evidently due to the fact that floors five through eight were connected with shear tabs, as photos show that the beam stubs connected to the columns did not fail from the fires. And lastly, the reason that floor four did not collapse appears to be because its connections had not been weakened by heat and fires from below. The local collapse of WTC5 cannot be seen as comparable to any of the WTC buildings. With regards to the Twin Towers, the official explanation for the cause of collapse was not that the floors had pancaked, as was previously believed. Rather, the explanation given was that the connections did not fail, and that they pulled on the exterior columns, causing them to bow inward and break. This scenario has been largely challenged [18, 19, 20]. With regards to WTC7, NIST claims that the collapse was initiated by the failure of floor 13, which pancaked all the way down to the fifth floor. This left column 79 unsupported, which caused the column to buckle, which led to a progression of failures spreading from the east side of the building to the west side. Many have also challenged this scenario presented by NIST [21, 22]. But the main point is that this description of the floors pancaking due to the heat is in stark contrast to the behavior of the floors in WTC5. 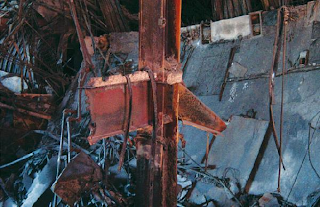 The beams and girders in WTC7 were not connected with shear tabs, as was the case in WTC5. In fact, evidence suggests that, by NIST’s own admission, the connections in WTC7 should have resisted the effects of the fires . And in WTC7 there weren’t more than three floors on fire, one above the other. On November 27, 2000, a fire broke out in the Dogwood Elementary School in Reston, Virginia. The fire, believed to have been caused by an electric short, caused many of the steel sections of the building to collapse after around a half hour of burning. This incident is another favorite of debunkers, as it shows a steel structure collapsing from fire in a relatively short amount of time. But as we will see, there are several issues regarding this building that need to be taken into account. 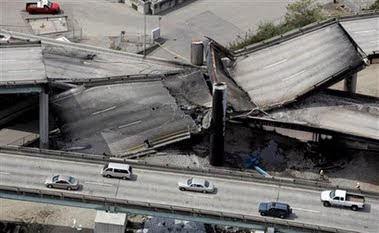 The investigation carried out by the U.S. Fire Administration  noted numerous key issues that contributed to the severity of the fire and the collapse. One of the main issues the report noted was that the building was not subjected to current fire code regulations. Dogwood Elementary School, as well as other schools of similar construction in Fairfax County, was not subject to current code regulations since it was built in 1974. When Dogwood Elementary School was constructed, the benefit of sprinklers in schools was not fully recognized. Moreover, the cost and expense were still too high to make mandating them practical. When codes requiring sprinklers were put into place, Dogwood was not required to retrofit with sprinklers in order to be code-compliant. While sprinklers would not have prevented the fire, they certainly could have minimized the destruction caused by it. Additionally, the activation of sprinkler heads would have provided information that a fire did, in fact, exist at Dogwood. Further contributing to the size of the fire at Dogwood Elementary was the lack of firewalls or fire stops in the building. As noted previously the school was essentially a large, open area with a high fire load of high surface area to mass ration combustibles, many of which were high BTU-generating fuels. There was over 1.1 million cubic feet of air available to fuel the fire—even more, if a window was open or after the roof collapsed. Firewalls could have limited the rapid growth and spread of the fire by containing it to smaller areas of the school. As this was yet another example of a single story building that was built far more poorly than any of the WTC buildings, we can rightly conclude that comparing this structure to the Twin Towers and Building 7 is unjustifiable. On May 13, 2008, a fire started in a coffee vending machine on the sixth floor of the 13-story Faculty of Architecture Building at the Delft University of Technology in the Netherlands. After burning for more than seven hours, a section of the building collapsed from the fires. Out of all the structures referenced by debunkers, this is the only one that can be seen as possibly comparable to the WTC buildings in terms of how the structure collapsed. The collapse started on the tenth floor of the building and progressed down to the bottom. 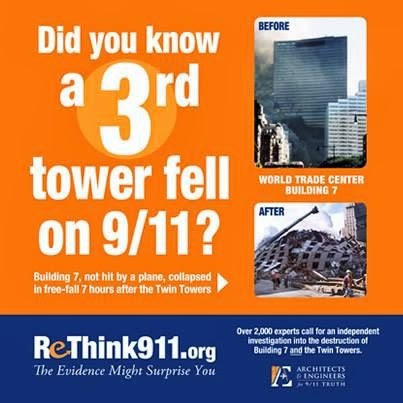 Debunkers note that this collapse was similar to the top-down collapse exhibited by the WTC. 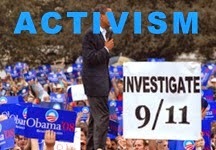 However, upon close examination, this incident contrasts in many important aspects to the WTC. First of all, the structure burned far longer than either of the Towers. It did burn for roughly the same amount of time as Building 7, but the characteristics of the collapse are focused on more in relation to the Twin Towers. The official study  into the collapse documented a large amount of data on the building, but was unable to examine any parts of the building due to the fact that it was demolished right after the fire as it was structurally unsafe. As a result, further research into the building is not possible. 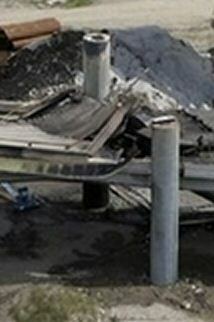 The study stated that a likely cause of collapse was the heat-induced spalling of the concrete support columns. • The collapse took approximately 10 seconds. Unlike many of the other structures referenced, we have several videos of this collapse, and they show that the collapse of the 13-story section took roughly 10 seconds from start to finish . However, the Twin Towers, which were each 110-storys tall, each collapsed in approximately 15 seconds . Building 7, a 47-story building, collapsed in less than seven seconds . This contrasts strongly with the collapse of the Faculty building. If the Towers and Building 7 were truly gravity driven collapses, as was the case for this incident, then we would expect them to have taken far longer to totally collapse than they actually did. Although there are undoubtedly similarities between the Faculty of Architecture Building collapse and the WTC collapses, it becomes quickly apparent that under careful examination, the differences obviously outweigh the similarities. Having looked at the details of these other collapses, let us now look at the specifics of the circumstances surrounding the collapse of the Towers and Building 7. We often hear arguments from debunkers about how the conditions of the WTC buildings were far different from other high-rise fires, such as “the planes did a lot of damage and dislodged fire-proofing” or “those other buildings didn’t have jet fuel dumped into them.” However, although these were the circumstances for the WTC, that does not automatically mean that their conditions were more severe than other high-rise fires. Likewise, it also does not necessarily mean that the conditions of the WTC were far worse than the conditions of the other smaller steel structures we have discussed. Let us establish what the actual conditions were for the Towers and Building 7. Although the official reports do not claim that the fires were fueled primarily by the jet fuel, it is useful to assess how much fuel actually entered each building, as the fuel was at the very least the main source that started the fires. If 900 cubic feet of fuel was spread evenly over just one 40,000 square feet floor of a Tower, it would result in a film 0.27 inches thick, about the thickness of a pencil. And remember, this is hypothetically if all the fuel was confined to one floor. In reality, the fuel was spread out over numerous floors. Even NIST admits in its Final Report, “The initial jet fuel fires themselves lasted at most a few minutes.” The only remaining source of fuel for the fires was common office furnishings. The idea that a few floors of common office furnishings burning for 56 minutes could result in the demolition of the South Tower is phenomenally ludicrous. If true, then every high-rise steel tower ever constructed should be immediately demolished as a hazard to public safety. Of course, that is unnecessary because no high-rise steel structure has ever collapsed as a result of fire. The total amount of fuel that remained in each of the impacted areas as estimated by the author was approximately 3,474 gallons for WTC1 and 2,966 gallons for WTC2. Now we need to determine how much fuel was on the floors were the collapses initiated. 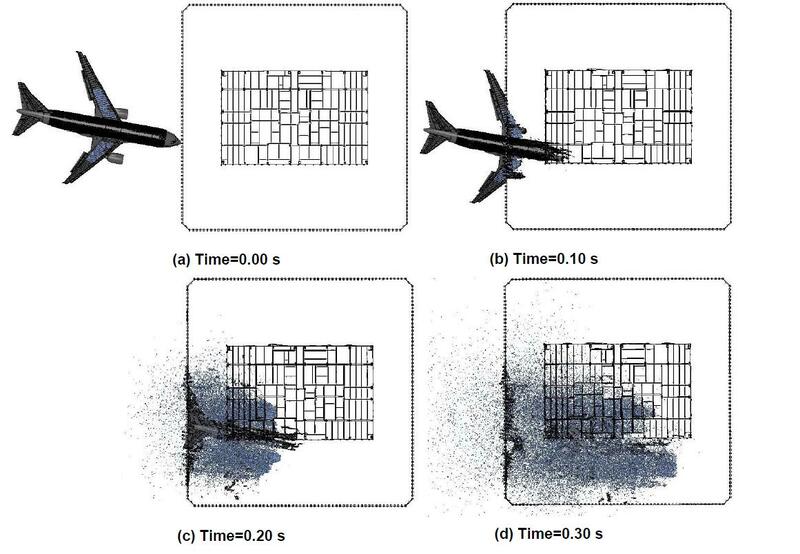 (For WTC1) Although the role of the jet fuel, which is said to have burned up within a few minutes of the initial impact, is not thought to have been large, the amount of fuel spilled on floor 98 and that on the central impact floors can also be compared. According to NIST’s severe case scenario, only 454 gallons of jet fuel were spilled on floor 98, which had an area of over 40,000 ft2, whereas over 1,905 gallons – over four times more – were spilled on each of floors 94, 95 and 96. This indicates that the jet fuel could not have been the major cause of the collapse. (For WTC2) According to the severe case, more fuel – 1,495 gallons – was deposited on floor 82 than on either of the central impact floors, although the floor that received the largest amount of fuel was 79 (note: the numbers are similar for the base cases for both towers). When we recognize how much fuel actually remained in the buildings, we can instantly see how ludicrous it is to compare the Towers to these other steel structures. How can it possibly be justifiable to compare the Towers, which each had only about 3000 gallons of jet fuel remain on the fire floors, to structures like the Mumbai High Platform, which likely had over 1,000,000 gallons of oil to fuel the fires, or the Interstate 580, which had 8600 gallons of gasoline fueling the fires below it? Likewise, the heat from these fires has been greatly disputed. As we have already seen, NIST has no evidence of high temperatures in either building. Their estimates of 482 ºF as the highest temperature the steel in the buildings reached is consistent with estimates of the maximum temperatures reached by the jet fuel fires . 43 of 47 core columns stripped of insulation on one or more floors. Floor 98 was not in the centre of the impact area, but was struck by a portion of the aircraft. The fuselage and the engines hit floors 95 and 96, whereas floor 98 was only hit by the outer section of the plane’s starboard wing. Five of the perimeter columns on floor 98 were severed. If 50% of the building’s gravity load is assumed to be carried by the columns in the building's core and 50% by the 236 perimeter columns, the five severed perimeter columns would have degraded floor 98’s ability to bear the gravity load it supported by slightly more than 1%. The central impact floors, where 15-18 perimeter columns were severed, suffered more damage. The damage suffered by the central impact floors was therefore at least three times worse than that suffered by floor 98. 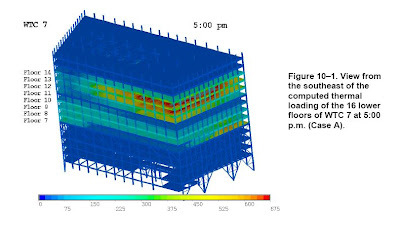 According to NIST’s severe case simulation, on floor 96, “The insulation was knocked off nearly all the core columns and over a 40 ft width of floor trusses from the south end of the core to the south face of the tower.” On the contrary, the alleged damage to the fireproofing on floor 98 was much less, “The debris cut a shallow path through the west and center array of trusses, damaging the insulation up to the north wall of the building core.” Even if NIST’s simulations can be successfully challenged, it is logical to assume that the potential for damage to the fireproofing was greater on the central impact floors than on floor 98. 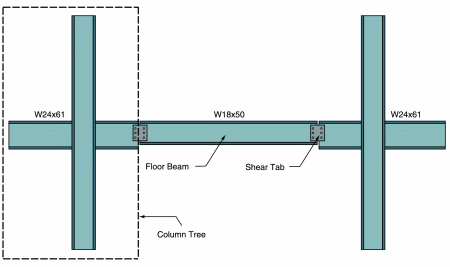 NIST’s severe case scenario predicts ten severed core columns on floor 80, but only 5on floor 82. [F]loor 82 only received a total of 1,400 lb of aircraft debris in this case, whereas floor 80 received over 40,000 lb, making it likely that any damage to fireproofing would have been significantly more severe on floor 80. • In the case of the North Tower, the collapse initiated on the side of the building opposite to where the plane entered. With the amount of energy that would have been dissipated as the plane entered the building, it is unlikely that much of the fire-proofing would have been dislodged all the way on the other side of the structure. • NIST’s scenario requires that the planes be shredded into small pieces as they enter the buildings to widely dislodge the fire-proofing. However, witnesses who escaped the South Tower described seeing intact portions of the aircraft, meaning that it is likely that the planes were not shredded into small pieces. The amount of jet fuel that remained on the fire floors of the Towers was minimal in comparison to the total fuel from each plane. The heat from the fires appears to have been too weak to cause the buildings to collapse. 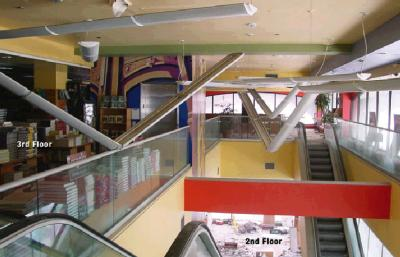 The structural damage of the collapse initiation floors was less than that of the other more heavily damaged floors. 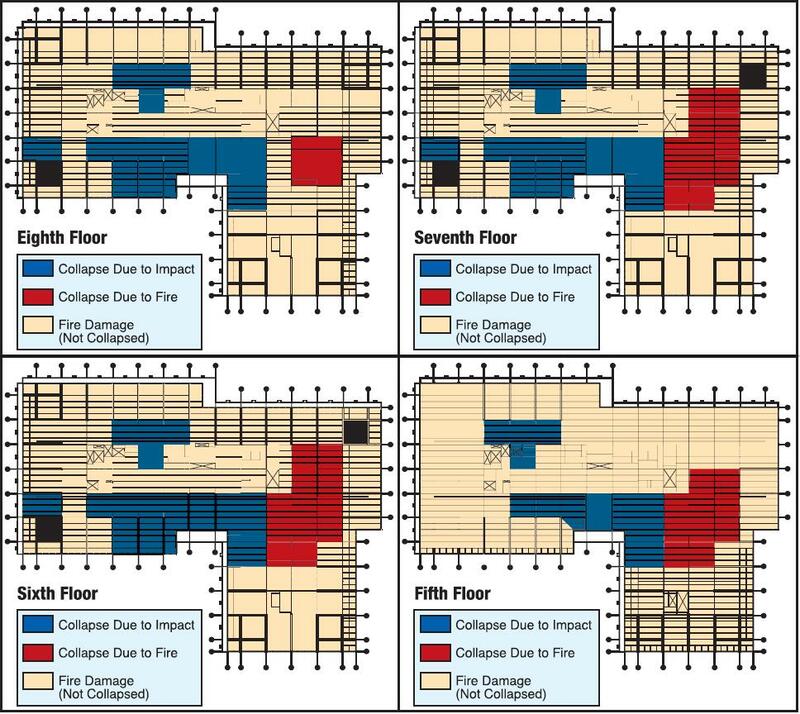 The amount of fire-proofing dislodged from the collapse initiation floors appears to have been minimal compared to other impacted floors. As we have already seen, NIST has openly admitted that the fires were likely more severe than the fires in other steel-framed skyscrapers. These were all features exhibited by the three WTC buildings. Debunkers may be able to cite a steel-structured collapse exhibiting some of these features, but to date they have not been able to cite a steel-structured collapse exhibiting all of these features outside of controlled demolitions. For the record, few in the scientific community doubt that it's theoretically possible for a building to experience failure if it is subjected to devastating heat for a sufficient period of time. And additional factors like no fire-proofing, no sprinkler systems, insufficient steel to "bleed off" heat or inferior construction greatly increase the possibility. However, what is "doubted" (or more accurately; considered downright impossible) is that such a failure would resemble anything like what was witnessed on 9/11. Gradual, isolated, asymmetrical failures spread out over time...perhaps. Simultaneous disintegration of all load bearing columns (leaving a pile of neatly folded rubble a few stories high)...no way.